I have extra items that I use in this hobby such as Moose billets, various sizes of solid copper nails, copper bopper tops, horseshoe nails, obsidian and occasionally some flint / chert such as Kentucky hornstone. I do not sell arrowheads. Unused. NOS. 40d Common nail. Shank diameter is .238 ( almost 1/4th inch ). S & H in the U.S.A. is $2.00 for the first nail. 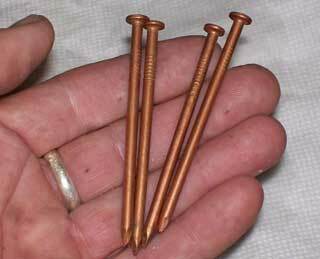 If multiple order add $.40 shipping for each additional nail. Unused. NOS. A bit tarnished. 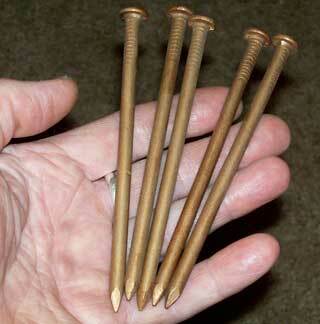 These are 20 D common nails. 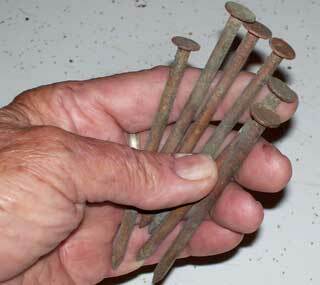 These are 10 D common nails. 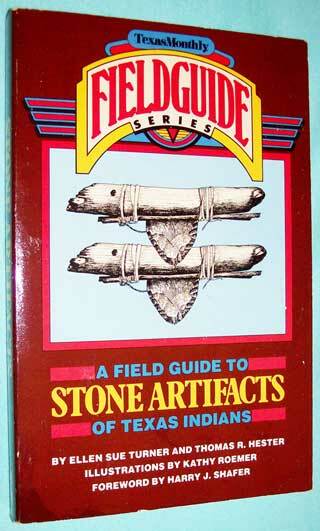 A Field Guide To Stone Artifacts of Texas Indians. 308 pages. 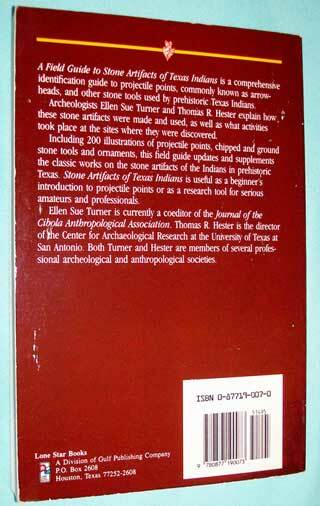 A Texas Monthly Field Guide Series book. Lone Star books. Fifth printing - 1991. A comprehensive guide to projectile points, commonly known as arrowheads, and other stone tools used by prehistoric Texas Indians. Archeologists Ellen Sue Turner and Thomas R. Hester explain how these stone artifacts were made and used, as well as what activities took place at the sites where they were discovered. Cost $6.00 - sold 11/12/15 - TOS.